Rose Hips – shook and shimmied! 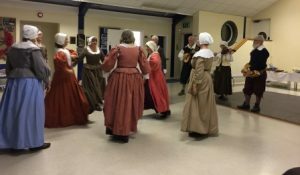 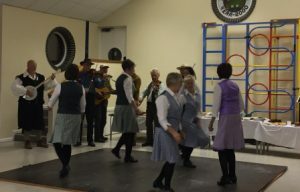 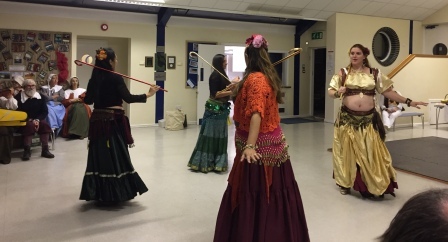 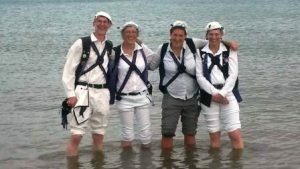 Havos ate well and had a jolly good time – oh and danced our best! 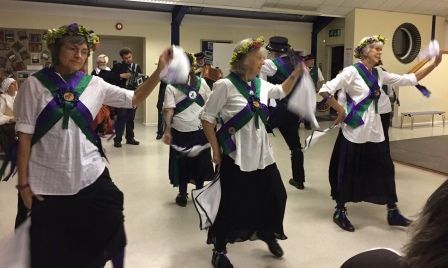 This entry was posted in Dance Outs on September 28, 2018 by Nigel Northcott. 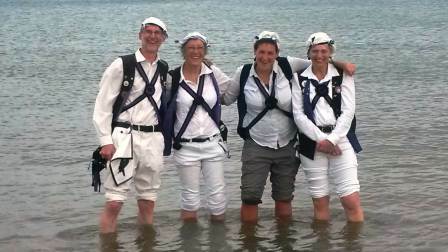 Is this what you did at Swanage!! – No wonder we are not a ring side!! This entry was posted in Dance Outs on September 17, 2018 by Nigel Northcott. 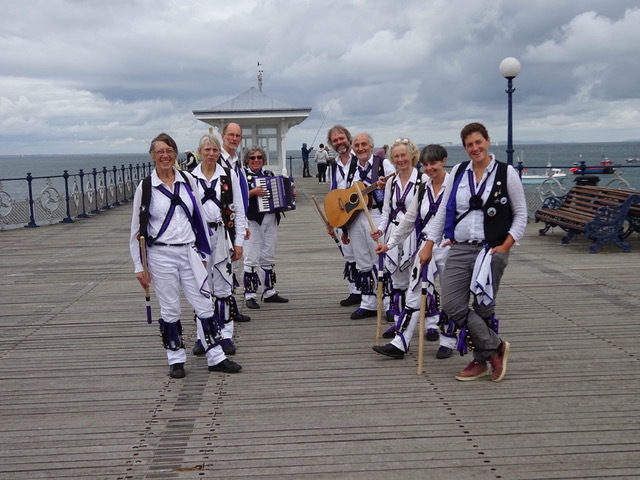 The AGM has been and gone, and we’re about to embark on a new practice season. 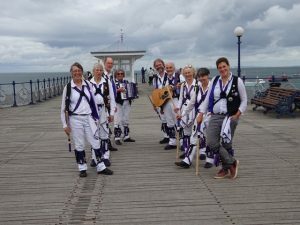 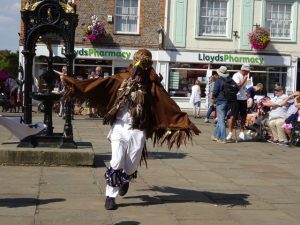 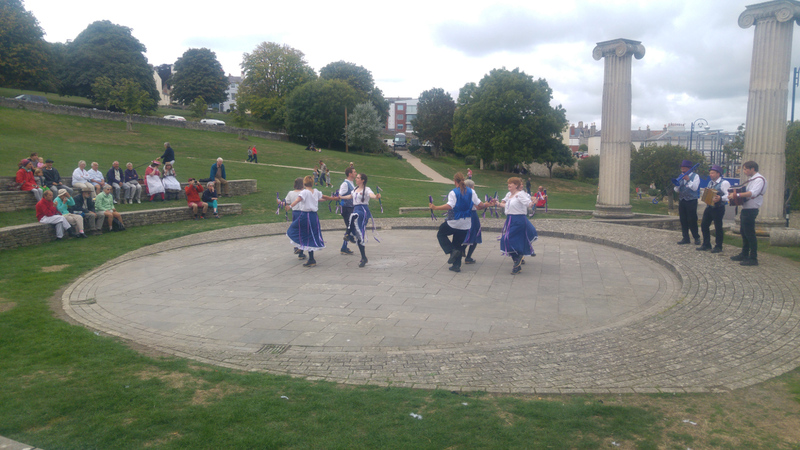 One last snippet of the summer dance out programme remains, Swanage Folk Festival. 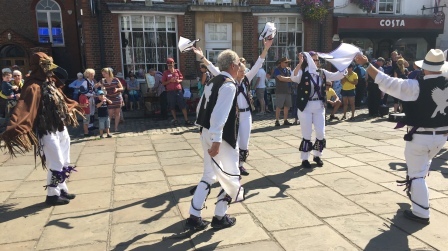 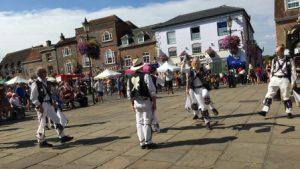 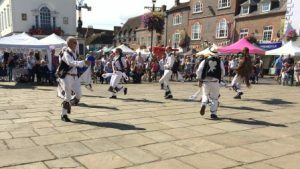 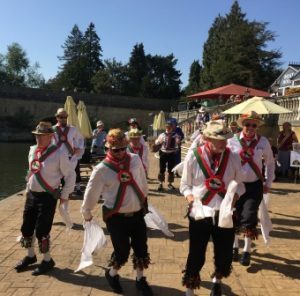 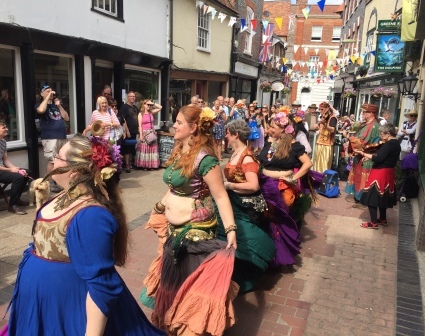 We took part in the dance programme on Saturday, starting outside the Heritage Centre with Beetlecrushers Step and Clog, and then on to the classical setting of the Prince Albert Gardens with Marlings Morris. 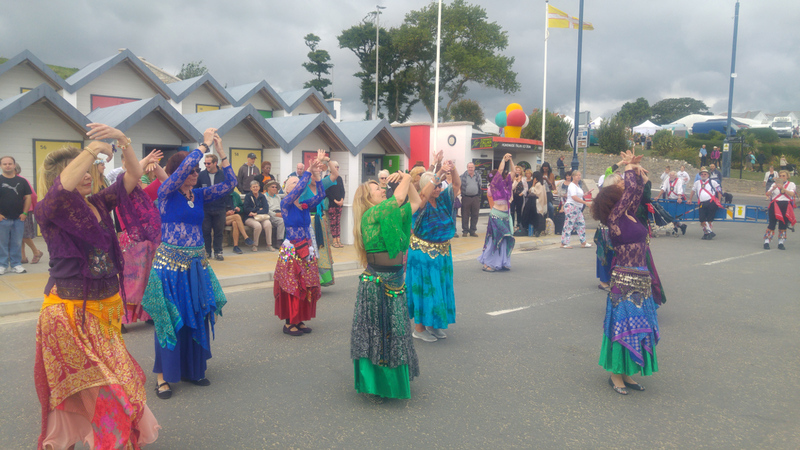 After that, a trip to the Sea Front with locals Baharah Bellydance. 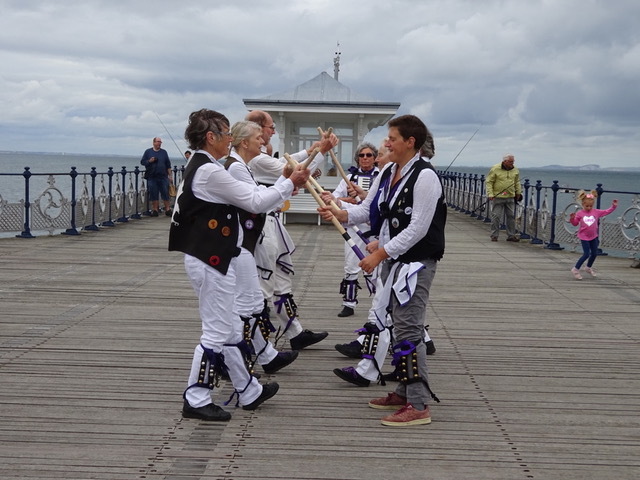 And then off to the pier for a little dance on our own. And then, time for the procession! The 2017 procession was notable for the rain that started just as we got moving, and completely soaked us before we’d got half way. 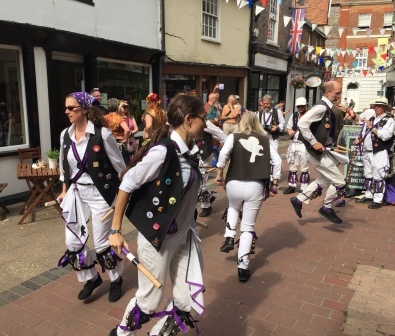 This year the weather gods were more forgiving. 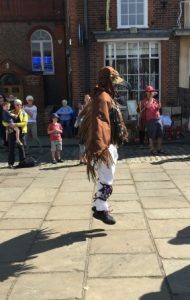 You can see us, complete with unruly Buzzard, at 11 minutes in on this video. 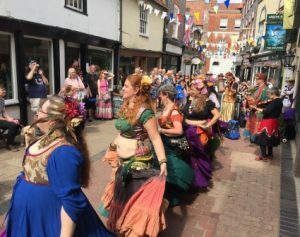 This entry was posted in Dance Outs, Folk festivals on September 11, 2018 by Jim Hague. Bunkfest ends the season – nearly! A glorious sunny day sees us start off at the riverside with Kennet Morris. 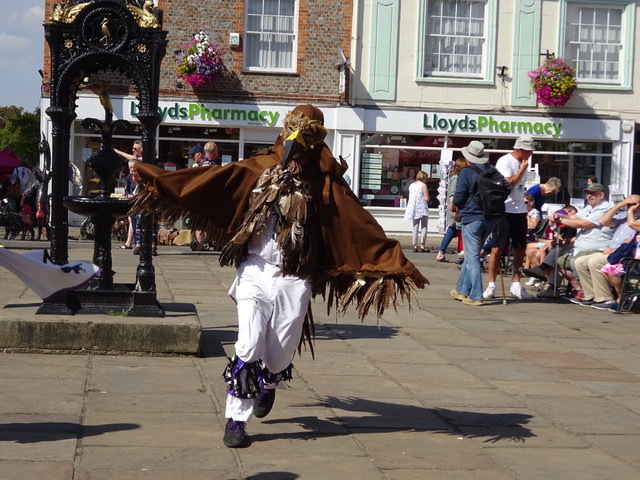 Then along with OSH to the Marketplace where an old bird swooped in! A buzzard in the Marketplace. 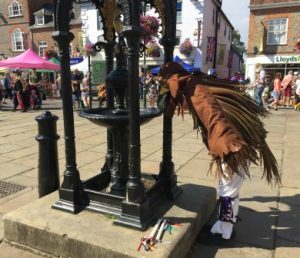 All that dancing made the buzzard hot – time for a quick drink. 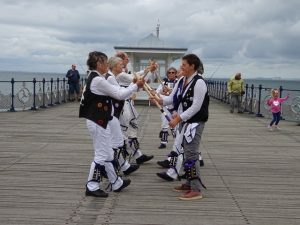 Outside The Dolphin where we kept our bits in!! 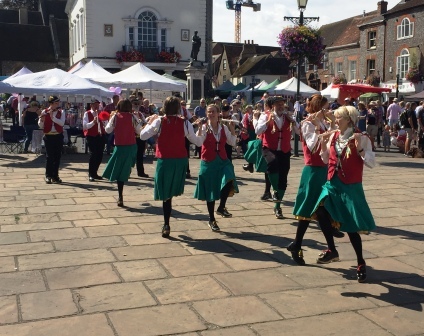 This entry was posted in Dance Outs on September 2, 2018 by Nigel Northcott.